Anna Charlton is Adjunct Professor of Law at Rutgers University School of Law and is resident at the Newark, New Jersey campus. She graduated from the University of Virginia and then attended the University of Pennsylvania Law School where she was Executive Editor of the University of Pennsylvania Law Review. 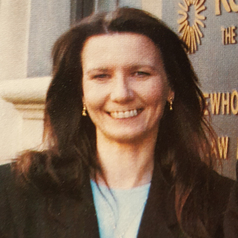 She served as Law Clerk to Judge Leonard Garth of the United States Court of Appeals for the Third Circuit and practiced in New York before joining the faculty at Rutgers, where she served as Co-Director (with Gary L. Francione) of the Rutgers Animal Rights Law Clinic/Center from 1990-2000. She has written extensively in the area of animal ethics, and is the co-author of "Eat Like You Care: An Examination of the Morality of Eating Animals" and "Animal Rights: The Abolitionist Approach."